Brickell Flatiron from CMC Group attracted a variety of buyers who've paid a combined $75 million in sales so far this year. Units range between $400,000 and over $14 million, averaging $750 per square foot. 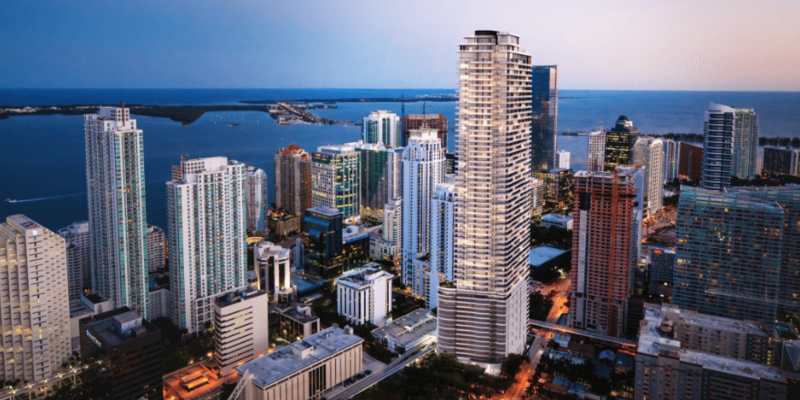 Despite recent sluggishness in the Miami condo market, over half of the 549 units at an under-construction Brickell condo high-rise are sold. Ugo Colombo, president of CMC Group luxury development, has a grand vision for the 64-story glass-clad tower called Brickell Flatiron.